Welcome to A-Plan, Gloucester, your nearest branch. 59 Eastgate Street, Gloucester, GL1 1PN mile away. 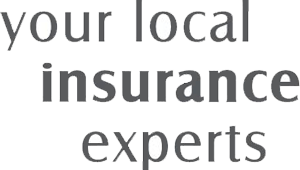 As your local insurance broker, A-Plan Gloucester has been serving clients in your area since 1984. We have specialist facilities for private car, home & contents and commercial vehicle insurance. Situated in Eastgate Street, we have been looking after the insurance needs for the Gloucester community for over 30 years. With the average team member having over 9 years of service, our experienced advisors have the knowledge to source the best insurance deal to meet your individual needs. And, if you are unfortunate enough to have to make a claim, we're here to guide you through the whole process - a service our clients found invaluable during the floods which devastated Gloucester in 2007. Many of our long-standing clients initially came to us for a great deal on their motor insurance. We have delighted these clients so much with our professionalism and service that we now look after all of their (and their families) insurance needs - all under one roof. As well as car, home and van insurance, we also have a dedicated commercial team to cater for your business insurance needs. Whether its liability, tools or commercial premises insurance, we believe in providing every client with the peace of mind that they receive a personal service from someone that knows them and their business. Your Gloucester Branch Manager. Get the right cover at a great price! Put our local team to the test to see how we can help you.